Auto Accident Lawyer in Seminole FL | DeLoach, Hofstra & Cavonis, P.A. 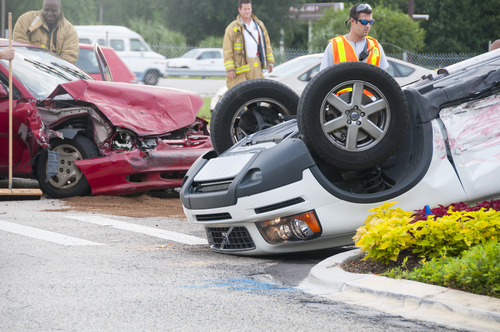 You don't have to be in a car to sustain damages and injuries due to a motor vehicle. Many vehicles are involved in accidents such as motor homes, RVs, ATVs, boats, dirt bikes, go-karts, wave runners and jet skis. Whether you were injured by another vehicle or you hit some stationary object such as a utility pole or tree, you have been in a motor vehicle accident (MVA) and you may be eligible for financial compensation. To find out if you are eligible for compensation, you should contact an injury attorney. Any kind of accident that involves a motor vehicle is traumatic. Just like if you were in a car crash, your accident could result in whiplash or minor cuts and bruises. All too often though, head, neck and back injuries as well as injury to internal organs and limbs happen. These serious injuries could result in permanent disabilities and time away from your job. If you have been injured or a loved one was killed, contact a local vehicle accident injury law firm to help you sort through the issues. At DeLoach, Hofstra & Cavonis, we have the resources available to be able to fully investigate the motorized vehicle accident and will make sure that your claim is rock-solid, which will allow you to obtain the maximum financial compensation. Notify law enforcement to get an official report made. Get the names, addresses, and phone numbers from motor vehicle operators. Also, witnesses are not always identified by an officer so make sure to ask every witness for their information as well. Write down the vehicle information including license plate numbers (if the vehicle has one), they type of vehicle and the production year, make and model. Most importantly get all of the insurance information. Take as many pictures of the accident and your injuries as possible to thoroughly document the scene. Any statements you make to witnesses or drivers are admissible in court, but statements you make to an officer are not. Only speak to law enforcement officers about the accident. Get medical care right now. Protect yourself by talking to FL motor vehicle accident lawyer. You are not responsible for any of our fees or costs unless there is a recovery. You still get our usual tenacious pursuit of your case, but we pay the upfront costs until we recover any damages. We never will ask you pay any of these costs out of your own pocket. Contact one of our injury law attorneys, Paul Cavonis or Joseph Murphy, or call the office at 727-397-5571.